What better way to get up to speed with Bootstrap 4 than by using it build something? In our new short course, Four Bootstrap 4 Projects, you’ll learn some of the key features of the latest version of Bootstrap while creating the kind of beautiful, feature-rich page layouts that you’ll use again and again in real web design projects. Use the Bootstrap 4 framework to create a simple e-commerce product list page and apply custom styling. 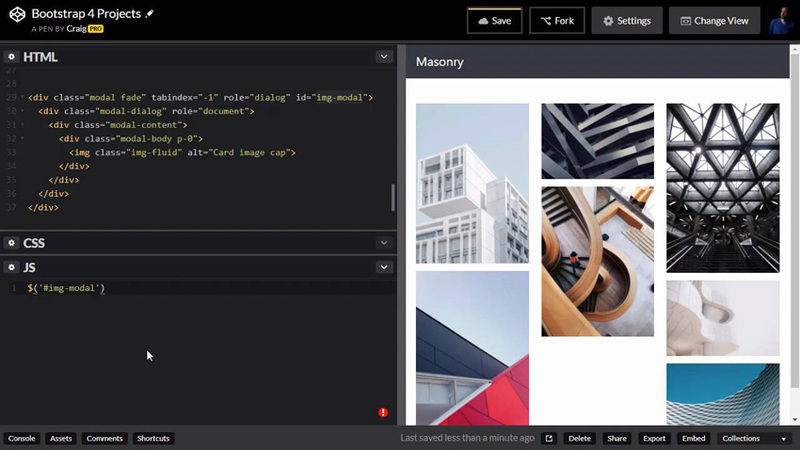 Take advantage of Bootstrap 4’s powerful new card columns feature to build a masonry photo gallery with a pop-up display. Customize a Bootstrap carousel by turning the slide indicators into image thumbnails. Create a group of cards that flip over to reveal more information whenever the user hovers over them.